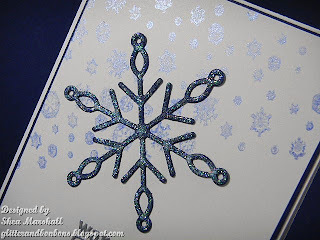 Today I would like to share with you a shimmery snowflake card that I made using products from Creative Inspirations Paints. The background snow flurries were stamped using Tanzanite paint for some lovely shimmer, and the snowflake die cut was glittered with Resplendence Angel Dust. 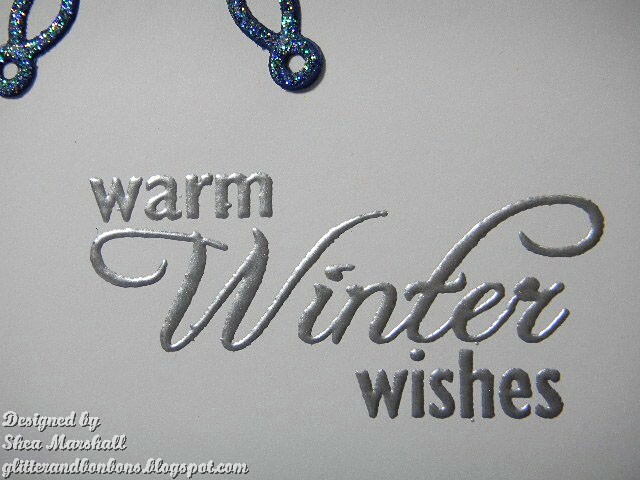 I embossed the sentiment with silver embossing powder and put that layer onto a navy blue mat. 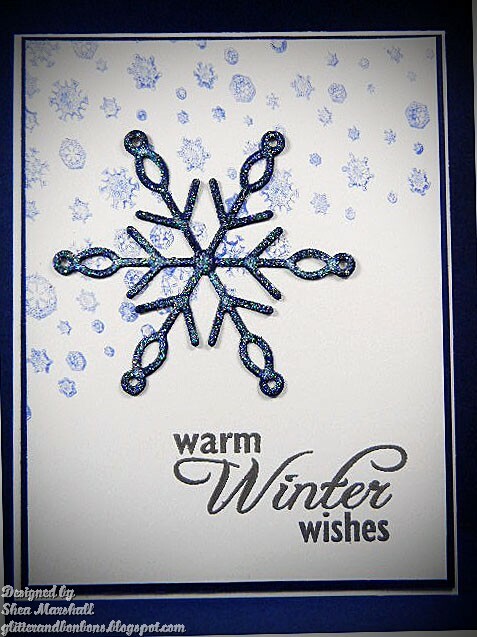 And that's my simple, CAS but wintry card for you. Thank you for joining me, and don't forget to stop by the CI Paints challenge blog and play along. The theme is Inspired By: Anything Goes. Gorgeous. Love the sparkly touches. This is just beautiful and so CAS!! Love it!